A convenient smaller size. 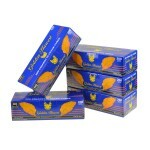 This bag is perfect for anyone who doesn’t go through a lot of tobacco or simply wants to try combining a few flavors. 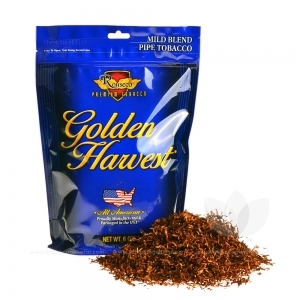 Golden Harvest Mild Pipe Tobacco is a familiar take on a common classic. 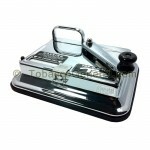 This blend uses a more subtle tobacco flavor to deliver a smoother and more pleasant experience. Each bag of Golden Harvest tobacco is packaged to ensure minimal shake and maximum volume. What this means for you is, more tobacco in each bag. Each blend uses unique flavor techniques and limits chemicals to ensure you get the best possible blend and taste.